What Company Would Buy BlackBerry? 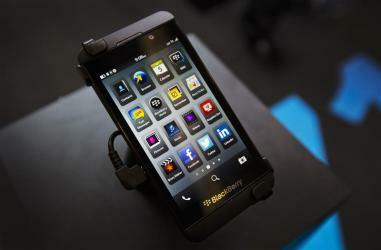 This week BlackBerry (BBRY) announced that it had cut 100 jobs in Waterloo, Ontario. Company spokesperson, Rebecca Freiburger, said it was "another step forward to scale our company correctly for new opportunities in mobile computing." Of course, this “step forward” is to position BlackBerry to be sold or find strategic partnerships, as has been reported. Yet, in BlackBerry’s attempt to move forward, it only continues to step backwards in a booming industry. As BlackBerry cuts staff to right size for sale (BlackBerry has cut staff by 5.7% in the last 12 months), Apple has grown employee count 15% in the past year. Google has had a 65% employee growth in the past year. BlackBerry’s declining story is obviously not just about employee decline – it’s about value destruction. In the past year, its revenue growth is down 39%. This is in the face of smartphone industry growth of 46.5% in the second quarter of 2013, according to Gartner. So, BlackBerry is rapidly declining in a market that is rapidly growing. But BlackBerry’s heyday probably started to end on June 29, 2007, when the first generation iPhone was introduced. On that day, BlackBerry’s stock price was at $66.66. On August 20, 2013, it closed at $10.54 – an 84% decline. In contrast, Apple’s (AAPL) stock was priced at $118.69 on June 29, 2007, and closed at $501.07 on August 20, 2013. The picture painted above is just a snapshot of a tragic story of a company on top of the world that either badly misjudged its market or utterly failed to capitalize on the incredible opportunities available to it. No matter how you read it – either as a multiple of revenue or of EBITDA (earnings before interest, taxes, depreciation and amortization) – BlackBerry’s valuation declined about 90% from 2007 to the present time. What companies might be interested in buying what’s left? In terms of what value, BlackBerry still has a network of users, although its market share is now minuscule compared to iOS and Android. Earlier this year, it let go of a seeming exclusive advantage, its BBM messaging service. It was the admission by the company of a sad truth – BlackBerry does not have any consumer advantage in terms of apps or functionality. It underscores that the users left for BlackBerry are government and enterprise users concerned with security – or only those few who care about having the ultimate email machine. So, what company would buy BlackBerry to get the users and the secure network? When we evaluate the list of likely candidates, it would need to be a company that can leverage the enterprise and government markets. Here is a list software players that could be possible buyers and the likelihood of a deal. Google is unlikely because it is already made its move with acquisition of Motorola Mobility and its Chromebook computer. BlackBerry could have added value to Microsoft (MSFT), although that match is unlikely to happen because Microsoft has partnered with Nokia. Oracle (ORCL) might be interested because the company needs to strengthen its mobility offerings, but only if the company could see a path to leverage the network and implement cool new devices that improve business performance and optimization. Facebook (FB) is a possible candidate: it has been “experimenting” with mobile phones and given Google’s relationship with Motorola, could be interested. Yahoo (YHOO) is unlikely. The company is very display-ad focused right now except for its investment in Alibaba. Twitter is not a candidate because it does not yet have acquisition currency through public markets. And then there are the hardware companies. Samsung has little need. Fundamentally it is a hardware company and has already done very well with smartphones and tablets. The key is that Samsung has aggressively leveraged the Android platform to effectively commoditize mobile hardware. It has little to gain from BlackBerry. Dell (DELL) would be a logical buyer as it has not made a foray into the mobile phone market and should/could – except that it is occupied with the larger issue of a management buyout. HP (HPQ) would have been a good candidate to acquire BlackBerry a few years ago, but instead HP bought Palm. Japanese mobile phone giants such Sony or Panasonic are possibilities. Either could use this purchase as an entry into the North American market. Lenovo and other Chinese hardware companies are unlikely. With the BlackBerry network embedded deep in governments and enterprises, it is doubtful a sale would be approved. Other possibilities include acquisition by a private equity firm or another Korean competitor less well established than Samsung. Regardless of what company might buy BlackBerry, the acquisition of this once iconic company would bring both management and strategy changes in an attempt to turn the company around – or BlackBerry would just be absorbed. Either way, it would mark the final chapter in one of the most spectacular rises – and falls – of any technology company ever. No wonder BlackBerry is looking forward. There is certainly no looking back.